If you’re the shallow type of shooter, then the next discussion isn’t for you. If you, on the other hand, like to do things right all the way and don’t settle with just anything less than good for your gun, than you should definitely scroll down. The topic is the gun cleaning mat and sure, some of them, simply call that an old towel or a rag in the house. However, if you used a gun-cleaning mat before, you know that there’s a reason for why you’re using it in the first place. A gun cleaning mat is non-slip (which you can’t get from a rag) and is able not to allow gun oils/gun solvents to leak through into your table (typically is the kitchen table and we all know we don’t want to ruin that). Let’s not forget that the gun cleaning mat helps you had better organize all the small pieces and parts of your gun as they stick on the mat and…it’s less possible that you will lose it. Still not buying the need for a gun-cleaning mat? Do you like the scratches on your firearm? Well, it seems that most of your gun scratches actually come from the surface you are cleaning it on. Not funny, right? Most of the gun cleaning mats out there are made of foam rubber materials, creating a non-slip surface to layout the parts of the gun. One thing we don’t really like about the cleaning mats is that most of them come in black or grey color and…most of a gun’s parts are black! However, if you try really hard, you can actually find gun-cleaning mats that aren’t just functional, but also….not that black either! Yes, it’s possible to get a reliable gun-cleaning mat for a very good price and, no, you’re not going to buy a lemon (but don’t get too excited either!). The Yes4All Gun Cleaning Mat Pad is, more than anything else, a versatile mat as it’s universal and its size offer enough space to clean most short guns and rifles. It’s a good option for tailgates or range also. The mat is 36”long, 16” wide and 0.12 thick and is made of non-slip PVC. 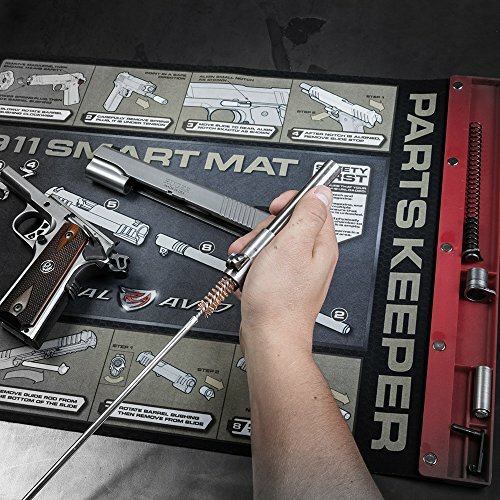 The mat does what a gun-cleaning mat is supposed to do, offering a secure placement on flat tables, protecting your gun and the surface altogether. You may safely clean your gun on the mat, as the material doesn’t allow cleaning solvent nor lubricant to get to your desk/table/bench, protecting them all the way. The gun cleaning mat has a good build and it lasts longer than you’d expect. It’s thick enough to offer protection and soft so that it doesn’t damage/scratch your gun either. It imprints easily when you lay down on it and it bounces right back into its original shape. It comes with two sides and is lightweight and highly portable. You simply roll it up for storage when you’re done with gun cleaning. It gets a compact shape for easier storage. All in all, for a good price, you get a pretty reliable, durable and versatile gun-cleaning mat that may be used in so many situations, for quite some time. Most of the gun cleaning mats out there come for a fair price; even they may especially designed for a specific gun. 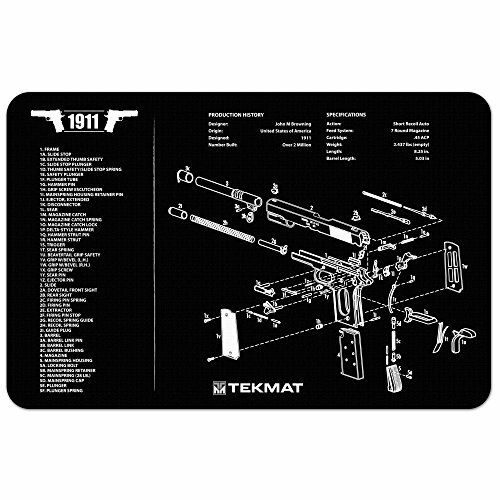 The TekMat 11-Inch X 17-Inch Handgun Cleaning Mat with 1911 Imprintt is not only affordable, but also of good quality, which explains its popularity. The gun-cleaning mat is made with good materials and the soft polyester top is one to begin with. The top is soft enough to protect the gun from scratches and damage. The cleaning mat is in fact well padded, for more protection of all parts you use. 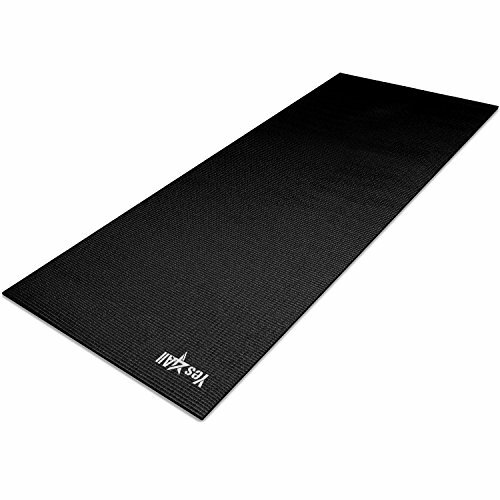 The mat has a good stability on the table and the neoprene rubber backing sure keeps it in place, ensuring a good grip. Additionally, the rubber backing protects the table you’re working on and doesn’t let the cleaning solvents and lubricants get through to the table. It’s thick and soaks well oils and lubes. The cleaning mat features an exploded view drawing of rifle and parts list. The diagram is pretty clear, easy to understand and follow. As for the quality of ink, no worries either as the diagram is quite durable and takes intense use and some cleaning. As for the working area per say, the cleaning mat offers a good-sized surface: 11”x17”. You get a gun-cleaning mat that is large enough for field strip. The mat is well made and leaves a durability feel. Our takeaway would be that, for a very low price, you get a decent, dependable and protective gun-cleaning mat that could use only few improvements. Owning a Glock gun is a great thing, but it sure comes with some catches and having a designated gun cleaning mat sure helps anytime. Take a look at the Glock AD00073 Perfection OEM Cleaning Bench Mat, as it’s very likely to consider it when shopping next time. The mat sure gives a nice cleaning area (11”x17”) and is pretty durable. It’s made od thin rubberized nylon and has an oil resistant surface. So you can safely use the gun cleaning solvents and lubricants, with no worries for them getting to the table. A good cleaning mat has to be also protective for your gun, minimizing risks for damaging and scratches. This one features a soft cloth top that sure cover this part also. Your gun’s parts stay in place and so does the cleaning mat. It’s a no slip cleaning mat that lays flat and doesn’t slide around either. As for the informative part, the cleaning mat is a reliable help also. It features an exploded diagram of a Glock pistol with printed list of the parts. It also contains some useful information: pistol lubrication diagrams that show you the proper lubrication points. Even though the cleaning mat is lightweight, it doesn’t mean it’s not a heavy-duty option either. The gun-cleaning mat is well made and takes the intense use pretty good. Overall, the cleaning mat is protective informative, absorbent and keeps all parts together. It doesn’t slip and is very easy to wipe clean when you’re done. Despite the minor issues, as it comes with so many good things, the gun-cleaning mat is a reliable help when cleaning your Glock. 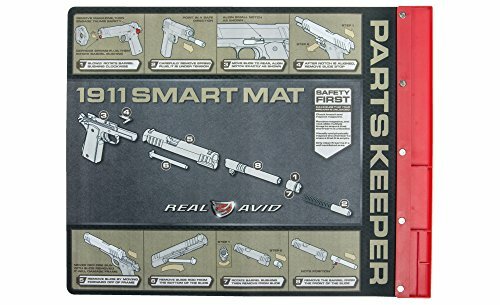 When you like your 1911 and want a better option as a gun-cleaning mat for it, don’t hesitate and give it a go with the use the Real Avid 1911 Smart Mat. The 1911 handgun-cleaning mat is a great option, especially designed for your 1911 cleaning. It offers a nice cleaning surface (19”x16”) and comes with parts Tray. To get a better image on how special the cleaning mat is, it’s important to know the mat features printed instruction on 1911 disassembly and take down information just as well. Another thing that we really like on the mat as it makes it more functional and efficient is the built-in parts keeper Tray that takes care of your bolts, springs and loose pins also. You may safely use the gun cleaning solvents and lubricants on the mat as it’s oil-resistant so none of those substance gets to the table under the mat. All parts remain in place and the mat doesn’t slip either as it has a non-slip back that sure protects the work surface. We like a lot the size of the cleaning mat that is large enough to handle a fieldstripped handgun for a good cleaning. If in some mats the printing becomes useless after a while, this isn’t the case for the Real Avid1911. The printing not only that is easy to understand and clear, but it doesn’t wear out that fast either. Sure enough, the fact the mat is not black eases up the cleaning. The gun-cleaning mat is protective for your gun and easy to use, for sure. Never mind the minor issues though. 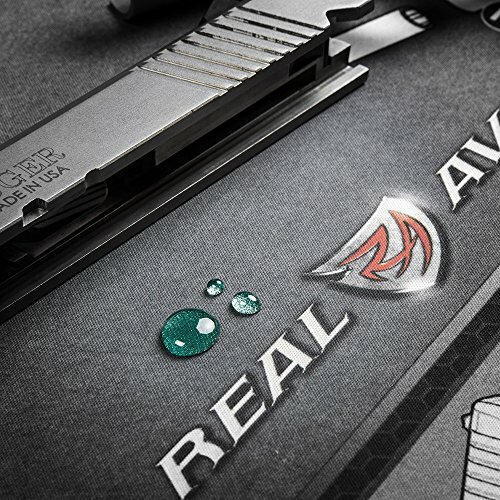 All things considered, the gun-cleaning mat is a reliable mat to clean your 1911 for a long time. 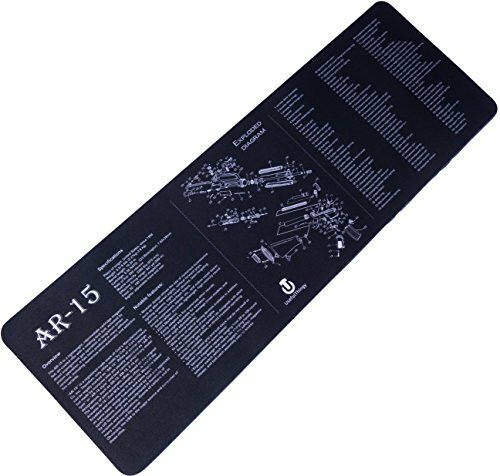 There are many things we like about this Gun Cleaning Mat – Rifle Cleaning which make it a good option for many of us out there when you’re in need for a gun cleaning mat. The gun cleaning mat sure makes a good impression with its looks so you can leave it lay it around for a couple of days without anyone minding. The gun mat is made of good quality material and you can tell by its durability. The gun-cleaning mat has a good build and leaves a sturdy feeling. 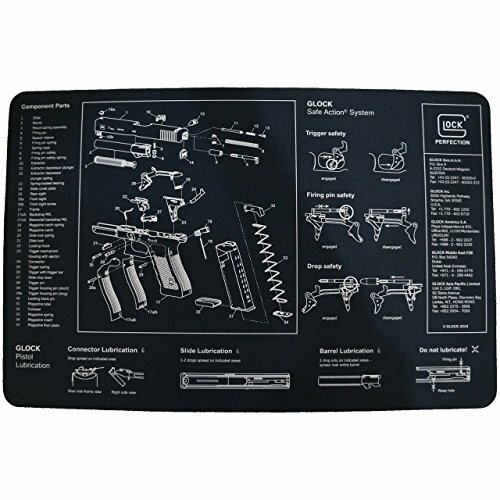 You want a gun cleaning mat to offer protection against scratches and damage for your gun and this one sure does that and a bit more, as it also protects the table/counter top you’re working on. A good gun-cleaning mat is also a good absorbent and this one does absorb cleaning solvent and lubrication. It’s able to soak oil/solvent you use to clean your gun, keeping the working area nice and clean. The mat doesn’t slip around and has a good grip. It keeps your gun in place, which is so important for a gun-cleaning mat. The list of things we like on the mat isn’t over yet and the informative printing is so helpful. Important note: it’s always good to have around a full-exploded parts diagram of every system on your rifle so that everything goes easier for you. It gives you a good track when assembly/disassembly. The mat is lightweight and easy to roll back when you’re done. It actually looks rather good and you may use it for the workbench also. All in all, for a very good price, you get an efficient, protective gun cleaning mat that is a big help your taking care of your gun. Do you own an Ak-47 and want a designated gun-cleaning mat for it? If that’s the case for you, why not give it a try with the TekMat 12-Inch X 36-Inch Long Gun Cleaning Mat with AK-47 Imprint? The AK-47 rifle mat is an important asset to have for gun cleaning and it offers a nice size of 12”x36” for the cleaning surface. This means you can definitely use the cleaning mat for the long guns just as well. The polyester top surface of the mat takes good care of your arms and doesn’t damage, nor scratches them. On the other hand, the neoprene rubber backing protects the underneath surface, either it’s your kitchen table or a countertop (you plan on staying married, right?) the gun cleaning mat is thick enough to protect the table you work on and doesn’t allow cleaning solvents or lubricants get into the table. The black mat features a printed exploded view of an AK-47. Unlike so many other models, the mat’s imprinting is not only clear and easy to understand, but also high quality and long lasting. Even though this is not essential on gun cleaning mats, we need to mention this one sure makes a good impression with its looks. The ink used for printing is fused into the fibers of the cloth so it doesn’t stain nor wears out fast. You may safely clean and wash the mat without the print going away. We also like on the mat that doesn’t wear a typical, chemical smell. Despite the small issues, we consider the gun-cleaning mat to be protective, dependable, gentle and useful for the long guns and especially for your AK-47. Talking about the Browning – 16″x54″ Gun Cleaning Mat isn’t easy and we need to begin with the most important thing: it’s made in our USA so you got to like it! The gun cleaning mat has a good size (16”x54”), offering a nice large cleaning surface to fit most of the guns out there. It’s not only the versatility that we like about the mat, but also its overall quality. The cleaning mat is made with quality materials that are durable and reliable. The mat is soft enough and its padding protects your guns from damaging and scratching. It’s also protective with the table/top you’re working on. There’s no slippage of the gun parts when using the mat. 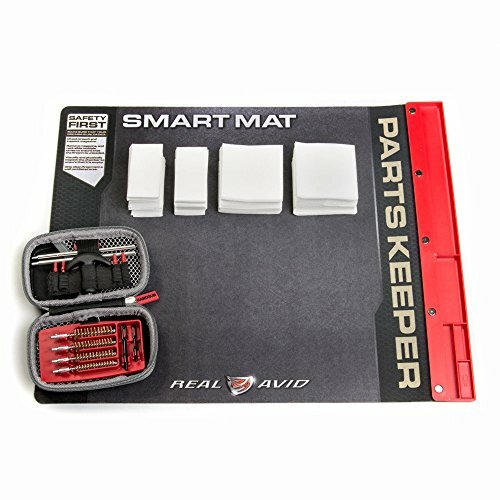 The mat itself doesn’t slide around and keeps everything in place. It stays put thanks to its rubber-like backing. The gun-cleaning mat is long lasting and has just the right size. It rolls out flat and stays put in place. Its anti-flow absorbency feature is dependable and no lubricants nor cleaning solvents get to the table/top you’re using. And, when you’re done with cleaning, the gun cleaning mat is easy to clean as it’s machine washable. Despite the minor issues, as it’s made in our USA and is dependable, protective and efficient, we’d say you can give it a go anytime. 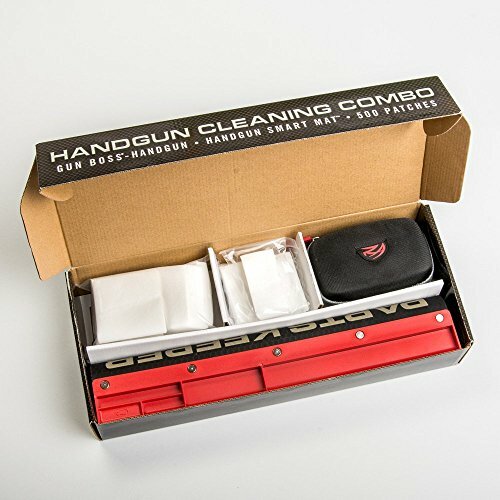 For those of you who want not only a gun-cleaning mat, but would rather get a cleaning kit, a good option is the Real Avid Handgun Cleaning Combo. The kit includes most things you need for cleaning your gun: gun Boss handgun cleaning kit, handgun Smart mat and no less than 500 cleaning patches. There’s no reason for you to doubt the versatility of the kit as you may use it for 22Cal 357 38.9mm, 40 cal. and 45cal. the kit includes also 2 section rod system with swivel tip, 2 slotted tips, 4 jags and a T-handle. Obviously enough, you’re going to find useful the 25 small and 25 large cleaning patches that come along. As for the zippered carrying case that is included, that is also weather-resistant…who could complain about it? The tray sure keeps safely in place and well organized all your implements. We need to take a closer look to the cleaning mat that does what is supposed to do. It’s oil resistant so no worries about gun cleaning solvents and lubricants getting to the table. The mat offers a nice working area (19”x16”) and is well padded, protecting your gun from scratch or other damage. It has a non-slip back that protects the work surfaces and it features built-in parts keeper tray that keeps loose pins, springs or bolts. The craftsmanship on the entire kit is great and the materials used are high quality. It’s a great cleaning gun kit to have, no matter if you are a new-entry level or already an experienced shooter. Nevertheless, if you are interested in a gun cleaning kit that includes a reliable and protective mat, this is a sure buy to make. 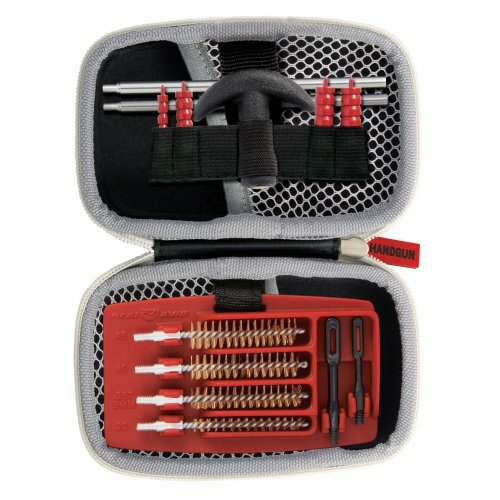 Don’t go shopping every day and get yourself not only a good quality gun-cleaning mat, but a kit that also includes most of the tools you need for cleaning. The Ultimate Arms Gear Gunsmith & Armorer’s Cleaning Work Bench Gun Mat Ruger is such an option and it’s very likely that you appreciate most of its included items. 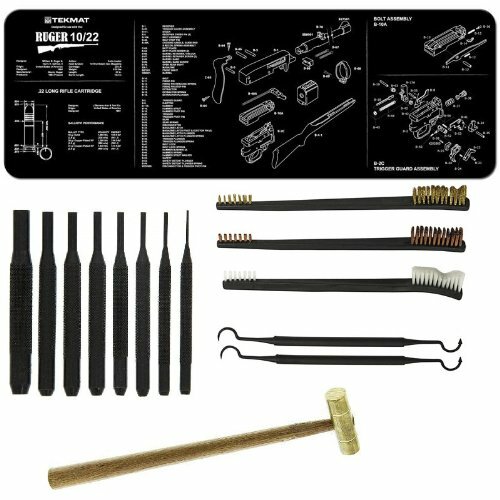 The kit includes not only a good-sized gun-cleaning mat, but also a brass hammer head, 2 pc pick set, 3pc brush set and 8 pc punch tool set. The most important item in this package is the cleaning mat that offers a good cleaning surface (12”x36”). 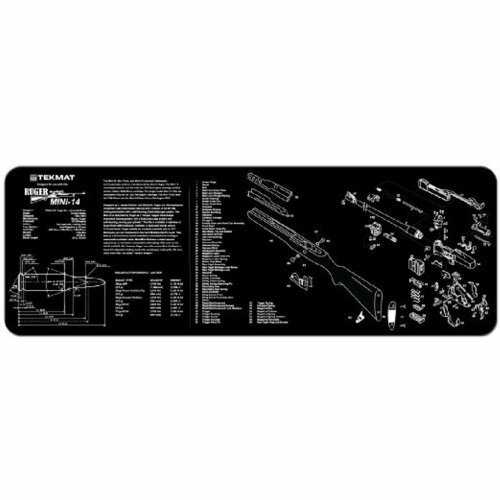 The informative mat features a large exploded view schematics diagram of rifle and parts list also. The cleaning mat keeps everything in place and doesn’t slip due to its neoprene rubber backing. No gun cleaning solvents nor lubricants get through to work areas due to the material. The mat is also soft and protects your guns for scratching or minor damage. We also need to take a look at the other items included. The kit includes a good variety size on the punches and the small brass hammer is truly reliable. The cleaning brushes are so useful on the cleaning jobs and the punch tools are really heavy-duty ones, as they are made of metal. The rigged gunsmith hammer has a wooden handle that insures good balance and reliable grip control. Nevertheless, the qualities sure outnumber the minor issues and we recommend the kit as a reliable investment for your gun cleaning jobs. Yes, it may come as a shock for you when you see the price of Gun Cleaning Mat by Sage and Braker, but you’re going to be far more impressed with the quality of the mat. 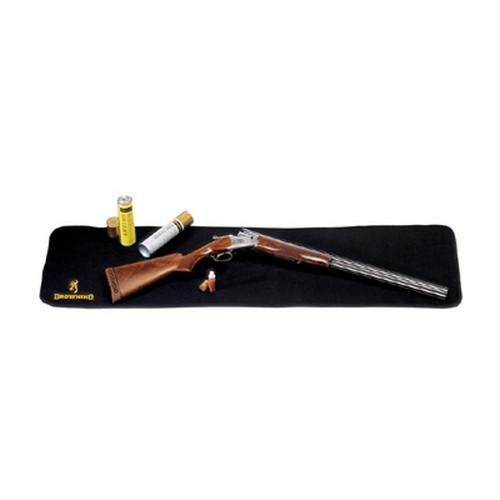 The gun-cleaning mat is made with high quality materials that sure mean amazing durability. 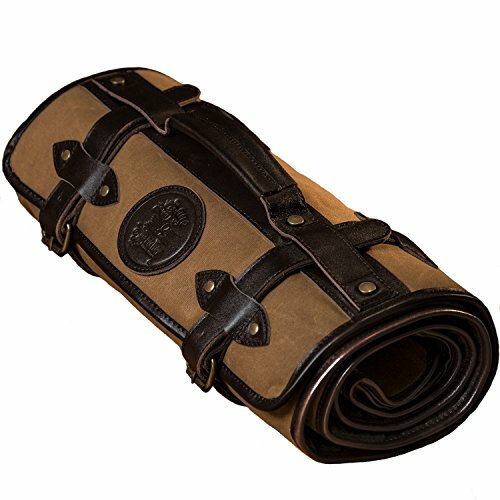 the mat is made of waxed canvas, heavy wool and thick leather. If the soft wool offers a nice, natural padding to protect your gun and the working table, the leather details bring an elegance feel to the mat. Not to mention the durability that comes along. The mat offers an amazing working surface and when rolled up is 69” long, 16” wide and ½” thick. You may easily work on your largest weapons on the mat and the thickness of the mat sure is so protective. Even though the mat is soft in order to be protective, it manages to be also rugged and able to hold the cleaning products. 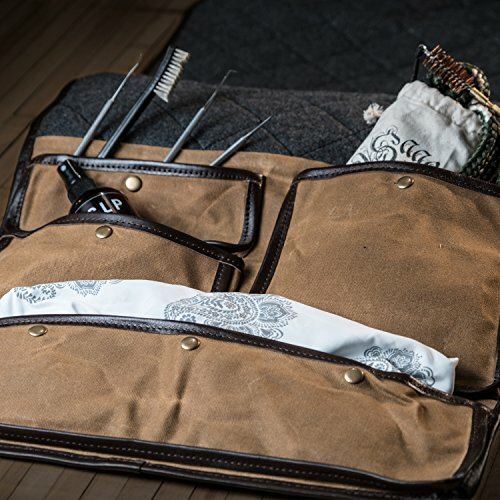 This is not very common, but the gun cleaning mat features four pouches for your brushes, CLP, two bore cleaning kits and one to hold your rags. In addition, when you’re done with everything, you roll it up and buckle it down with the sturdy leather straps for easier transportation/storage. The versatility of the mat is quite impressive and you may use it also as a shooting mat as it’s rugged enough to take out in the field. In order to get the best image of the mat, we also need to mention the amazing craftsmanship that create a very good build gun cleaning mat that is going to last for a lifetime. In addition, if you’re not impressed by now, take a look again. It’s impossible not to like the elegant leather details and the classy feel it leaves behind. We can only be bothered by its price, but seeing the bigger picture of a protective, long lasting, elegant and versatile gun-cleaning mat, we can only say one thing: it’s sure worth it!